It’s that time of year again. 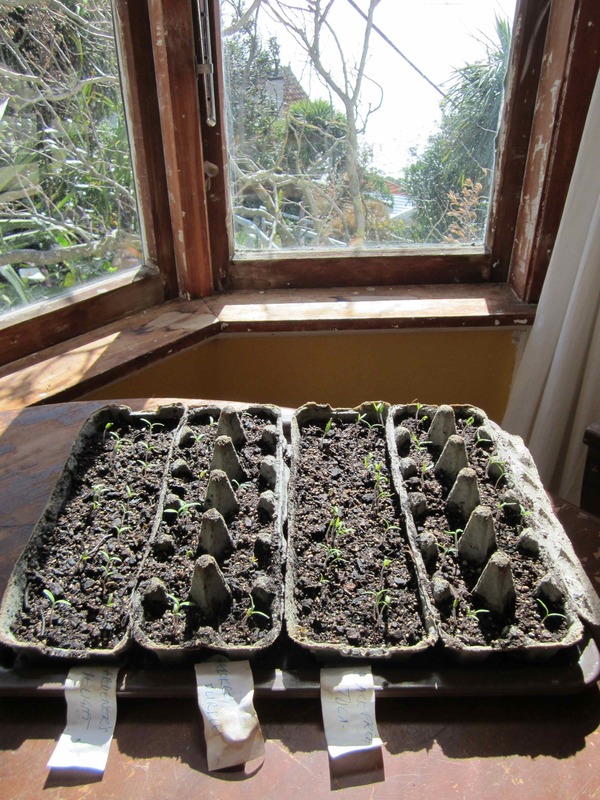 I’ve ordered the tomato seeds from King’s Seeds and sown them into egg cartons and cared for them at a sunny window. This year I have Black From Tula, Gardeners Delight and Cherokee Purple. 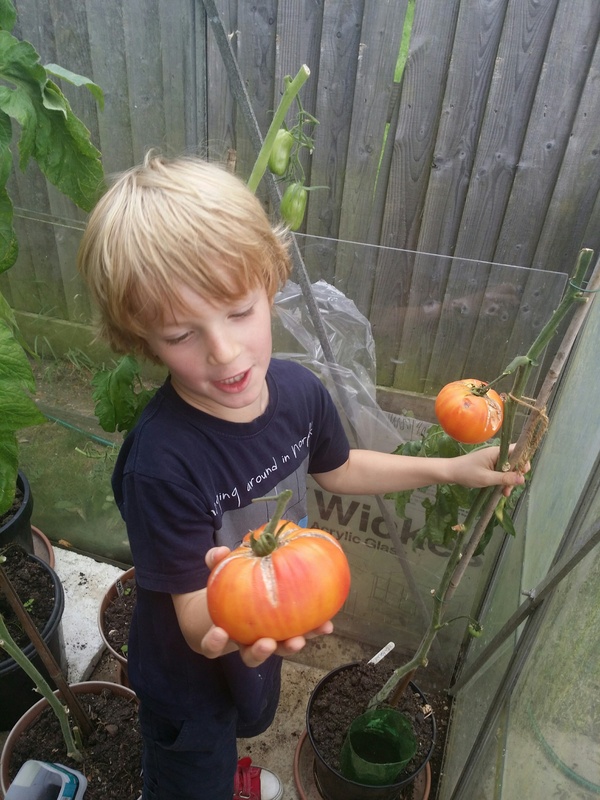 And just as the tomato seeds sprout, I get photos of my grandsons with their tomato harvest, on the other side of the world. Their tomatoes, like all tomatoes, self-pollinate. In Wellington we can rely on the wind to help, to shake the flowers. But bumblebees are also useful. James with a big one: 424 grams. 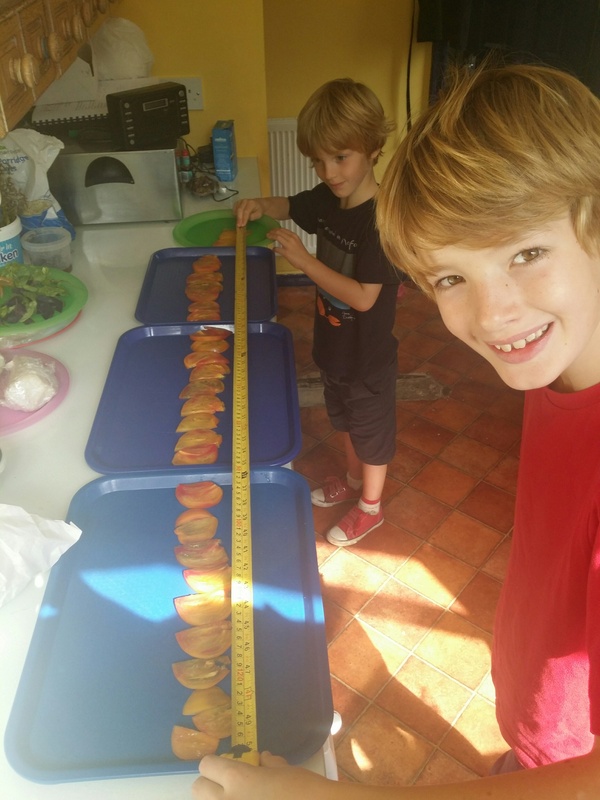 James and Jake create 1 metre 30 cm of sliced tomato from the single tomato.